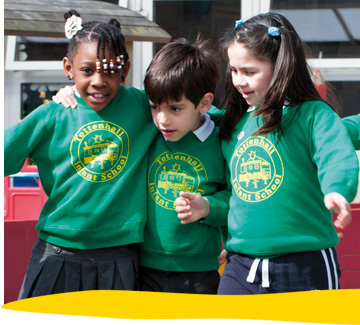 Tottenhall Infant School has entrusted Mapac to supply your child’s uniform directly to you. Here is some information about Mapac and how to place your orders. Mapac now supplies thousands of schools with bags and uniform throughout the UK. Our core value is providing excellence to our customers. We are not a faceless company and we welcome direct contact, so please call us if you have any queries. We promise to supply your order with efficiency and to the very best of our ability. Click here to view the uniform, then simply register and place your order. If you have any problems contact the Mapac team on 01923 255 525. Girls can wear a green and white checked summer dress. They can also wear either green or grey shorts. Boys can wear white T-shirts with short sleeves and either green or grey shorts. No earrings, hair tied back, tracksuits for outside. PLEASE NAME ALL YOUR CHILD’S CLOTHES AND BELONGINGS.